Winter Storm Watches are now in effect for the entire Finger Lakes and Upstate New York regions in anticipation of this weekend’s storm. But first, there is one more small system to address. Low pressure this morning sits over the Arklatex region (where Texas, Arkansas, and Louisiana intersect). This low is embedded within the southern branch of the jet stream which will carry it northeast toward the Mid-Atlantic tonight. Out ahead of the low, skies across the Finger Lakes have been mostly clear overnight. Temperatures are starting out in the single digits as a result. Clouds will increase this morning and into the afternoon hours, but no precipitation is expected. High temperatures will reach the mid 20s. A few flurries will start to show up this evening after 8 pm. The snow should become a bit steadier after midnight with some additional snow showers lingering through Friday morning. Most areas will see accumulations of an inch or less. A few higher elevations in the Southern Tier and Central New York could approach two inches. Watch for a few slick spots early Friday morning, but for the most part, the morning commute should be fine. Energy from a large storm system just off the coast of the Western United States is beginning to spill onshore into California this morning. This energy will cross the Rocky Mountains and spawn a new area of low pressure over Texas. This low will rapidly strengthen as it tracks across the Arklatex and to the northeast on a similar path as Thursday’s system. Eventually, the system will merge with a second piece of energy in the northern branch of the jet stream. This merger, along with other complex atmospheric dynamics, will result in a very strong storm system. At this point, there have been days worth of consistency in the models showing significant snow in the Finger Lakes. While details still vary from model to model and model run to model run, the picture is beginning to take shape. Snow should begin sometime in the early afternoon hours Saturday with an initial area of light snow. By Saturday evening, conditions will go downhill as the low approaches and strengthens. Heavy snow will continue through Saturday night and into Sunday morning. By Sunday afternoon, the widespread snow should end, but a spray of lake effect south of Lake Ontario will be possible. It will also become extremely cold and windy, with temperatures in the single digits and wind chills as low as -15 degrees. Strong winds, lake effect, and bitter cold will continue into Monday. Road salt will be ineffective due to the coldness and drifting snow will continue to cause significant travel issues at least in rural areas. Winds and lake effect will diminish Monday night as high pressure moves in for Tuesday. 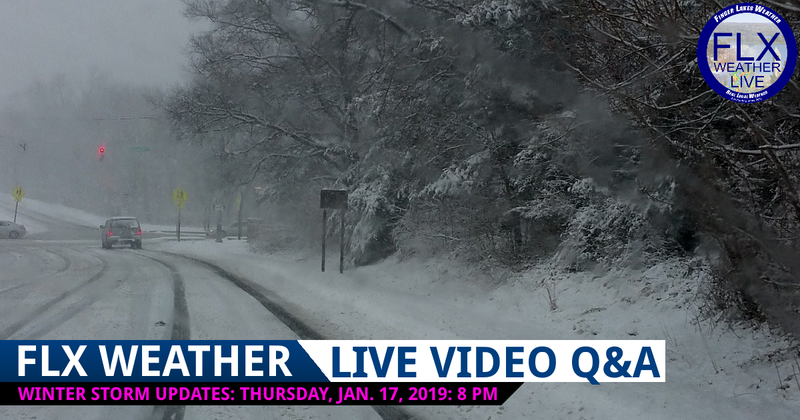 Join me at 8 PM Thursday evening for a live Q&A video where I reveal more details about the storm and answer your questions on air. Click the image above to sign up for email notifications of the live video and all f my blog posts. Given the consistency in the models and the arrival of the storm system in the Pacific, it is my hope to have a first snow map tonight. I will be hosting a live video Q&A at 8 PM. This will be hosted on Facebook but embedded here on FLXweather.com as a blog post. If all goes according to plan today, I will reveal my snow map during that video session. Friday morning, I will have a regularly scheduled blog post outlining more of the storm details. If I do not make a snow map today, I will likely have one Friday morning. Friday evening, I will again host a live Q&A video session with any additional updates. If I make a map today, I may choose to make some small adjustments which I would present during this broadcast. Saturday will either have an additional morning blog post, or another live video session during the early afternoon, or both. My update plans for Sunday are uncertain. All throughout this time, please feel free to message or email me with your questions. Accessibility is one of the three core values of Finger Lakes Weather so I am more than happy to give you the specific details you need to remain safe during this storm. Please do not ask for specific snow amounts until after I have a snow map published. Be sure to sign up for email alerts so you can be notified via email of my new posts and live video sessions. Your donations are greatly appreciated and make a tremendous difference! Without these donations, I would not be able to bring this level of service to the Finger Lakes. Many small contributions combined can have a large impact! Please consider an automatic monthly donation even if it is just a couple of dollars. Monthly donations ensure continued support and help pay the monthly bills. You can easily donate with PayPal or Credit Card using the form below. Alternatively, checks may be mailed to Finger Lakes Weather LLC, PO Box 326, Groton, NY 13073. I welcome inquiries from the media about the storm. Please email me to set up an interview. Lastly, I am actively looking for new sponsors and clients. 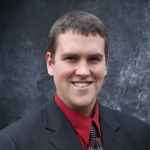 If you are interested in advertising your business, or hiring Finger Lakes Weather as a consultant or freelance weather reporter, please let me know. I would love to help a local business extend its reach through sponsorship of my live video sessions. Get in touch ASAP if you are interested in this opportunity! 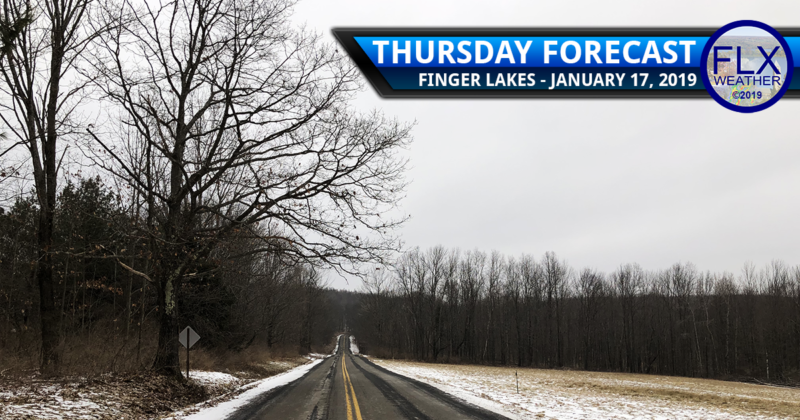 Finger Lakes Weather needs your support to continue providing live updates during extreme weather! Please consider a monthly or one-time donation to help Finger Lakes Weather. Thank you for supporting Finger Lakes Weather! You have chosen to donate $20.00 monthly. It will be tough going. Lots of blowing and drifting. Be careful with those wind chills, too…they could be dropping below -20 during the evening. Scheduled to fly Monday, 6am. What are my chances? Would need some more information…where are you coming from/into? I’m planning to make an emergency flight from Syracuse to Manila, the Philippines to see my sick mother. I prefer flying out of Ithaca but the airfare is too high. I don’t want to have someone drive me to and from Syracuse if the weather is awful. Will flying out this Saturday or Monday be ok? Also concerned about flight cancellations. The route I’m looking at now is Syracuse-Newark onwards. Please advice. Thanks very much. Monday would have less of a chance of problems related to the storm and its broad impact on the air network. That said…if you can get flights arranged to get out of Syracuse during the morning and out of Newark before sundown…you may be just fine. Traveling from Ct to Ithaca to get back for school. What day would you recommend to travel? Friday….or if you can get into Ithaca before 2 PM Saturday. If neither of those work…late afternoon Monday. Looking to drive from Scranton – Bing – Ithaca and to Geneva. Leaving Friday atound 1p. Need to drive back, same route on Sunday around 1p. How might that timing and travel route match up to the expected storm? Friday will have no problems. Sunday, however, will be very difficult for travel. If it can be avoided, it should. My daughter has a dance team event in mid-town Manhattan this weekend leaving Ithaca mid day tomorrow. The chartered bus is scheduled to return from NYC, leaving around 3:30 pm to bring them home to Ithaca on Sunday night. Do you think the trip back Sunday afternoon is going to work? Thanks! I think it will be very difficult on Sunday. Even though the snow will be pulling out of the Northeast, we will still have lake effect and the entire region will have blustery winds and blowing snows. So it sounds like the Monday morning commute may be a problem? 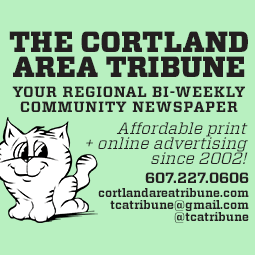 I’ll be driving from Ithaca to Cortland and other folks in my office are coming from Syracuse, Lisle, and Brooktondale. Yes, I think it will still be very messy Monday morning. Hi Kathy! Conditions will be very similar between the two places. Skaneateles may get a bit more snow but the difference won’t be significant. I’d stick home if you can! Do you have a sense of what kind of snow is expected with this storm? Light and fluffy, heavy and wet? It may start as an in-between type snow…but it will end very light and fluffy. Once the wind kicks up Sunday, the blowing and drifting is going to be a major problem. If you can get back home by 3 or 4 PM Saturday, you should be OK. I wouldn’t recommend Monday…it is going to be surprisingly bad with the wind, lake effect, and bitter cold. My daughter is driving from Seneca Falls to Buffalo. Is Sat morning the best time for her to leave? Yes. Things should be quiet then.